Heat the oil in a large pot over a high heat. Once the oil is hot, remove from the stove and add the mustard seeds and curry leaves. Be careful because the oil tends to splatter as you add the seeds. Turn the heat down to medium and place the pot back onto the stove. Add the roasted masala, turmeric, salt, cumin and seafood masala and cook for about 5 minutes, stirring occasionally. Add the onions, garlic and ginger (and the chilli paste, if using) and cook for 5–10 minutes until the onions are translucent. Place the canned tomatoes in a blender and blend to a fairly smooth purée. Add this to the cooked ingredients along with the sugar. Add the water and cook on medium heat for 10–15 minutes – this needs to simmer away gently in order to allow the ingredients to reduce. The curry sauce should be transformed into a thick, smooth gravy. If it is still watery, then allow it to simmer for a few minutes more. Add the prawns to the sauce and cook on high for 10 minutes, stirring occasionally. Turn the heat down to medium and simmer for a further 10 minutes, until the prawns are pink. Remove from the heat and garnish with chopped, fresh coriander. 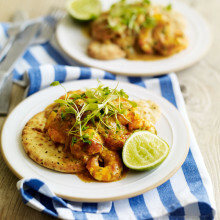 Note: This curry requires you to cook all the other ingredients separately from the prawns to form a thick and flavoursome curry sauce. The prawns are added at the end because they need very little cooking time. 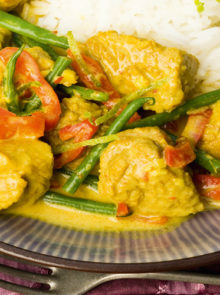 Remove the pot from the heated stovetop as soon as the curry is cooked. 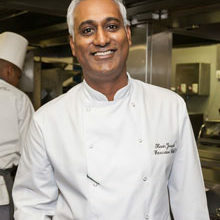 The prawn curry must be immediately transferred into a serving dish or bowl. 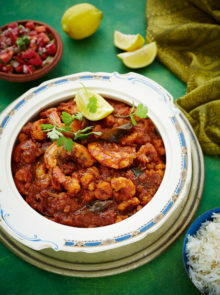 The longer the curry stays on the heat, the more it will cook, thus causing the prawns to become rubbery and compromising their delicate taste. 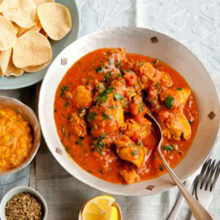 Pathia is a popular curry served among the Parsi population in India. The Parsi migrated to India from Persia more than eight centuries ago and settled in Gujarat. 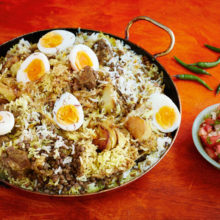 Parsi cooking is therefore a fusion of Old Iranian and Gujarati cooking. 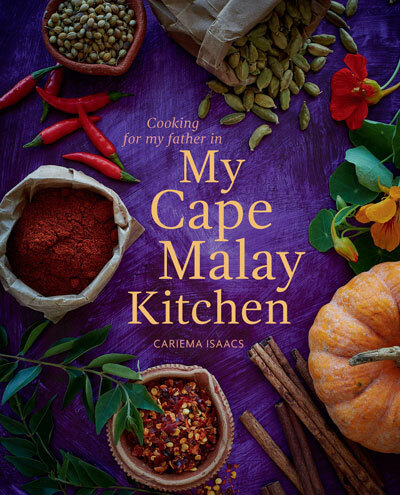 It is a sweet, sour and spicy curry, not very different to what Cape Malay palates are accustomed to. Prawns, like most shellfish in Cape Town, are quite expensive and are usually only eaten on special occasions such as Eid or when one is hosting a lunch or dinner for friends and family. My father loved prawn curry with vegetable biryani or simply served with basmati rice. Since this is such a delicate dish, it’s best served with a simple Indian tomato, onion and chilli salad.